The Bernese Oberland and the surrounding areas are world-renowned for their spectacular mountains, classic Swiss villages and first-class hiking. The “Alpine Pass” as it is known to the English or the “Bärentrek” (bear trail) to the Swiss is two-week long journey that travels directly through the heart of the Bernese Alps while also visiting the best mountains of the provinces of Uri and Berne. The diversity of culture, sights and towns on this route is unbeatable. The trail begins by wandering through pasturelands that cling to the surrounding mountainsides. Steep cliffs and the accompanying high waterfalls litter the pastoral valleys. Leaving the pasture, the route enters areas of lavish flora and fauna, reminiscent of a Pacific Northwest forest, that abound in this region of Switzerland. 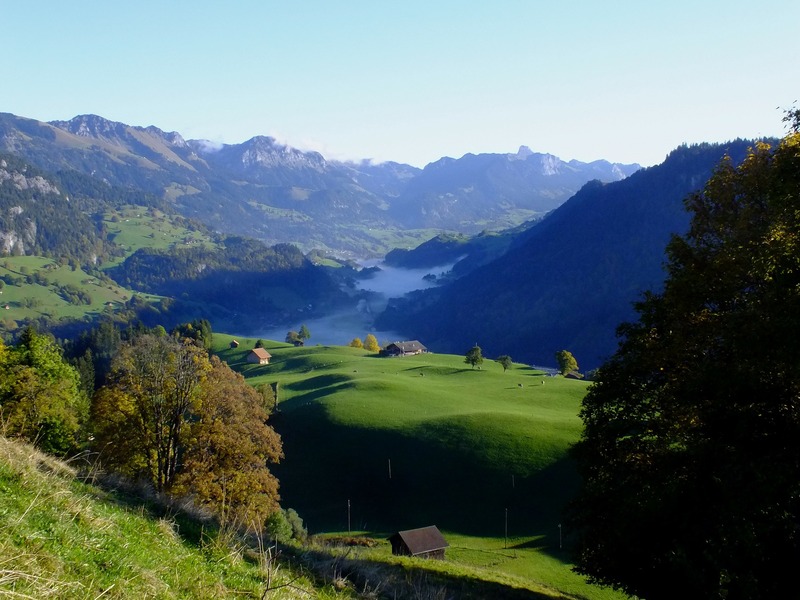 Here you will see the most famous peaks of the Bernese Alps and stay in legendary villages, experiencing the places and views that international hikers dream about.